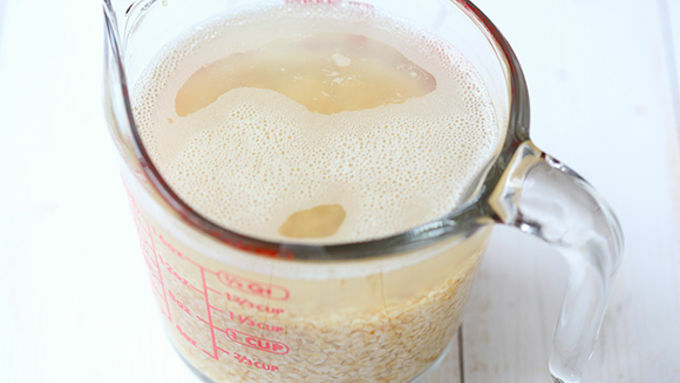 Stir the bulgur into the boiling water and let set for 30 minutes, or until softened. Strain out the water. Toss together the strained bulgur, parsley, edamame, mint, scallions, tomatoes, olive oil and salt. 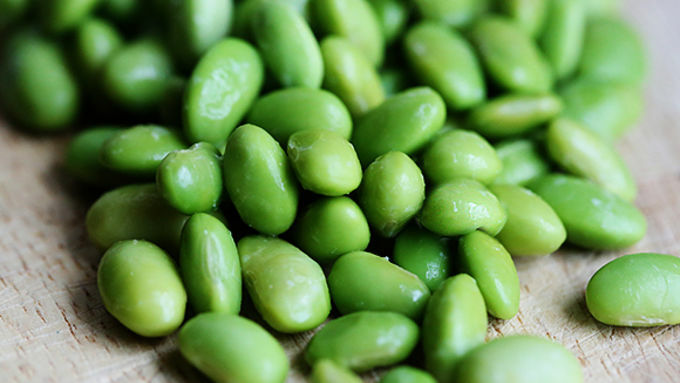 Serve immediately or cover and refrigerate for up to one day. 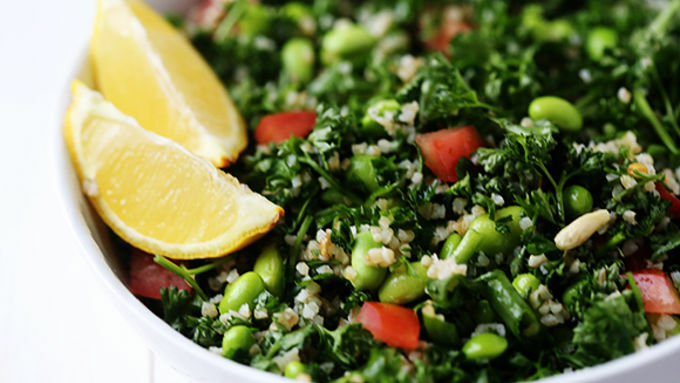 Tabbouleh is so quick and easy to make at home! Seems like everyone I know loves tabbouleh. But everyone I know also pronounces it differently! Growing up, my mom always called it tabboul-EEE. Some friends have called it tabboul-UH. The Lebanese restaurant nearby calls it tabboul-EH. It seems like tabbouleh is the new “tomato, tomahto." 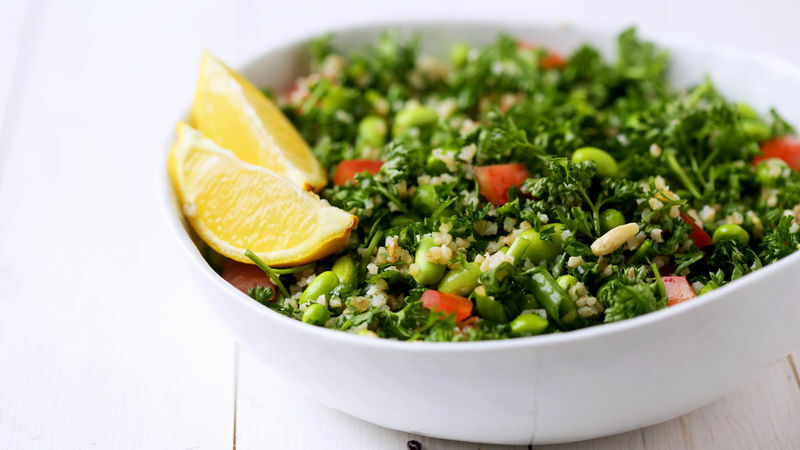 However you pronounce it, this fresh and zesty herb and bulgur salad is super easy to make! And it is filled with all sorts of awesome flavors and ingredients that you can feel great about. Voila! So easy! 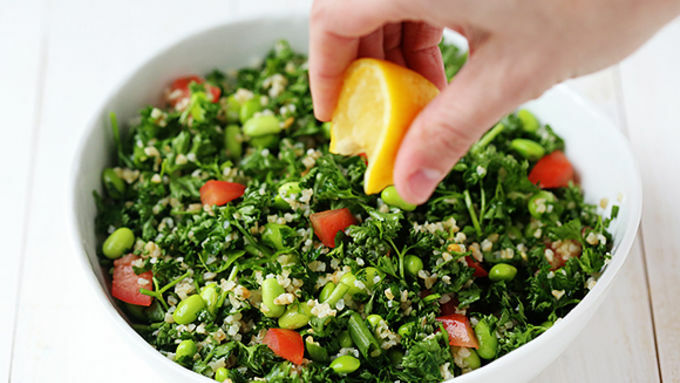 So easy to make, here are even more tabbouleh recipes for when you need something fresh and delicious.